We all grew up being told not to play with our food. Things change. With the Bites and Pieces Crust Cutter you can finally give boring sandwiches new life! Your kids will love to eat their lunch once they see their sandwich in this form. Cut them up and let them piece them back together. Once they are done they can eat! You can do the same at a private party! Make the guests attempt to piece together their appetizer! 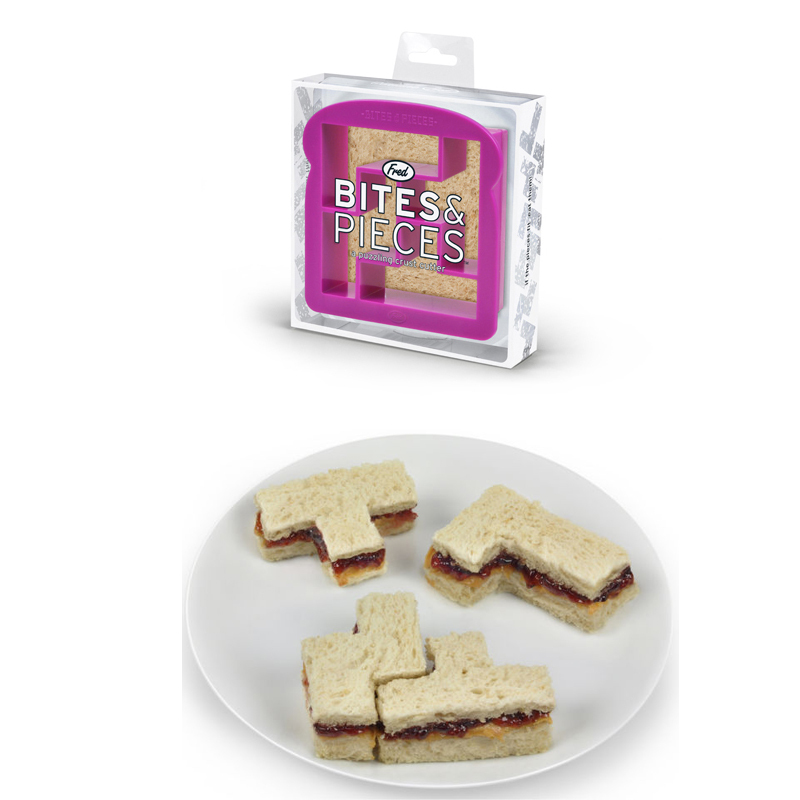 A lot of fun can be had now with the bites and pieces crust cutter for your sandwiches. Feature: - Food-safe plastic. Dishwasher safe. Measures 4.5" long.